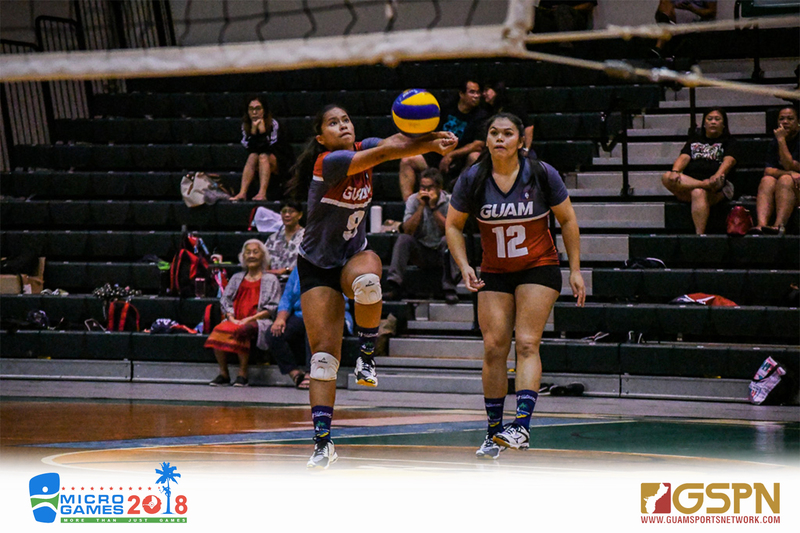 The Guam Women’s National Volleyball Team heads to Yap for the 2018 Micro Games with a majority of young, first-time Micro Game participants. But led by head coach Mike Rabago the goal remains the same: to bring the gold medal back to Guam. The Women’s Volleyball team were able to clinch gold four years ago in Pohnpei and look to repeat this year as Micro Games champions. “The team actually looks a little different from the team four years ago because for more than half of them this will be their first Micro Games,” said Rabago. Rabago started off playing in the Micro Games back in the day and returns now for the second straight Games as coach for both the women’s and men’s teams. The team welcomes back players from that gold-medal winning team such as Mary Gillan, who will be participating in her second Micro Games this year and looks to fill an even bigger role on the team as a leader and mentor. “It’s a lot different for me this time around, last Micro Games I was kind of like a rookie, but this time I’m one of the veterans on the team, and sort of stepping into that leadership role, it’s challenging but I think it’s been a really smooth transition. With it being my 2nd Micro Games I know a little bit more about what to expect and I’ll be coming into these games a little more prepared both mentally and physically,” said Gillan. Veterans like Gillan are showing the way for newcomers to the Micro Games like Mariana Kier who will be making her Micro Games debut along with many others on the team. “About half of our team this year are veterans and the other half are new to national team competition, but they have a lot of experience as well with off-island opponents and I know we’re all prepared to go out there and perform,” said Gillan. “Even though it’s my first Micro Games I’ve challenged teams from the Phillipines, Singapore, and in the States before so I think I’m pretty well prepared for the type of competion we’re going to face out there,” added Kier. For Gillan the recipe for success is the team’s versatility. For the Guam Women’s Volleyball team gold is the standard and with a healthy mix of youth and the right amount of experience the team looks positioned to reclaim their Micro Games title.